India vs New Zealand 2nd T20I: Former India captain MS Dhoni's popularity seems to be increasing every day. India vs New Zealand 2nd T20I: Former India captain MS Dhoni’s popularity seems to be increasing every day. 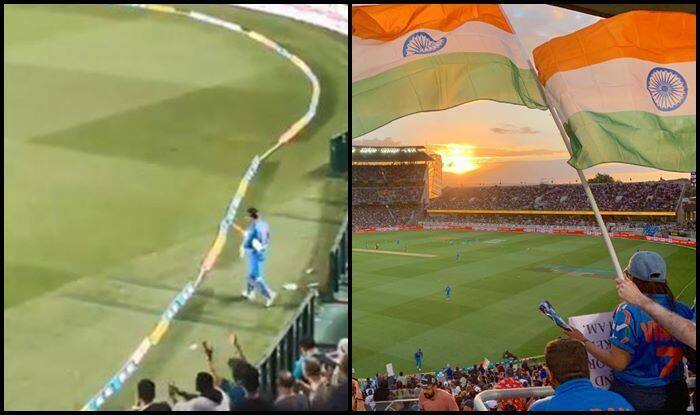 Vintage Dhoni got a rousing reception at Eden Park when he walked out to bat for India during the ongoing 2nd T20I. Chasing a moderate 159, Dhoni walked into the middle at the fall of Vijay Shankar. Once the crowd saw Dhoni, they could not keep a lid over their emotions as they all stood up in synchrony to welcome ‘Thala’. It is a must-win game for India to stay afloat in the ongoing three-match series. Dhoni walked in with India needing 41 more runs to win. Earlier, stand-in captain Rohit Sharma went past Kiwi Martin Guptill to become the leading run-getter in T20I history. He also became the fastest Indian captain to breach the 500-run-mark in T20I cricket, he went past Kohli to the record, apart from creating the record for hitting the most number of boundaries in T20I history. Both the teams went unchanged for the tie, which was surprising as India were hammered at Wellington by 80 runs. But now, after the win at Auckland they will look a different side when they lock horns with the Blackcaps on February 10.